R3046 Features: -Ideal for bedridden, handicapped, and traveling. -Screw-tight lid and female spill-proof adapter. -Unbreakable polyurethane construction. 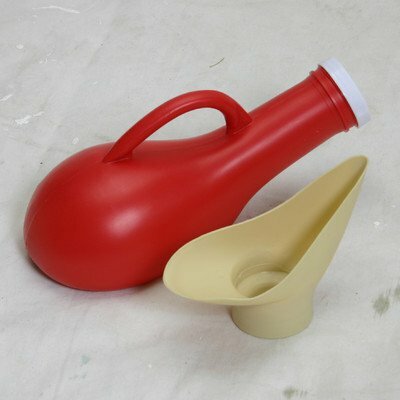 Product Type: -Bedpan/Urinal. Generic Dimensions: -Holds 28 oz.. Dimensions: Overall Height - Top to Bottom: -5 Inches. Overall Width - Side to Side: -10 Inches. Overall Depth - Front to Back: -4 Inches. Overall Product Weight: -0.38 Pounds. View More In Bedpans & Urinals. If you have any questions about this product by Rose Healthcare, contact us by completing and submitting the form below. If you are looking for a specif part number, please include it with your message.